Writer’s block is a condition where a writer experiences difficulties in developing new and creative work. Writer’s block is a phenomenon that affects all types of writers. Especially those who are involved in developing work that is not only in creative works but also in more structured. In songwriting, writer’s block is a phenomenon that can have far-reaching consequences, potentially affecting an individual for years if not managed effectively. Despite the debilitating feeling associated with writer’s block, a number of strategies exist helping songwriter’s overcome this proverbial “rut”. However, three strategies stand out. Inspiration, or rather the lack of it, has been identified as a major component of the writer’s block. A songwriter can experience writer’s block when they ran out of or lose the inspiration that drove them to write songs in the first place. This unnerving lack of inspiration can be remedied by searching for inspiration in new and unexplored places. It is very easy to get stuck in one’s regular routine as it provides a sense of comfort and familiarity. However, comfort and familiarity can be counterproductive to creativity. By eliminating that sense of familiarity by looking for inspiration elsewhere, a songwriter can develop new insights. They can also find different points of view on aspects and issues that affect their social life and the world in general. “Changing your environment, such as writing outdoors instead of indoors, or writing on the beach or hilltop can provide one with different perspectives that can help overcome writer’s block,” – Ashley Palmer, Senior Writer at Master Thesis Service. Taking a walk outside has the capacity to expand your perception of aspects of life you had never considered, allowing you to develop new ideas. 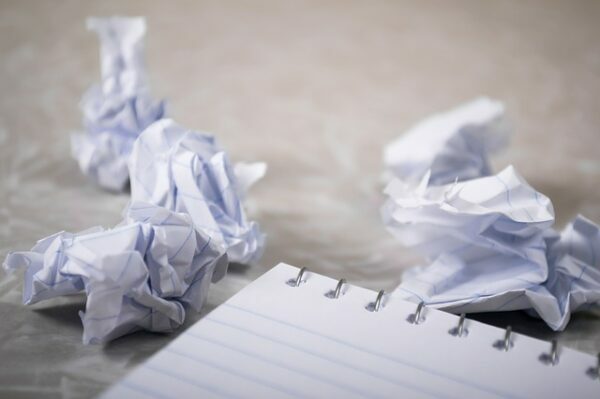 While most strategies to overcome writer’s block revolve around changing one aspect or another, free form writing offers a different approach. Free form writing entails writing down whatever comes into one’s mind. “Such type of writing is not necessarily coherent but acts as a summary of one’s thoughts and ideas at any given time,” – Jill Kent, Academic Writing Consultant at ConfidentWriters. This type of writing is also not designed to achieve any objective but is done for the purpose of getting ideas out. This approach allows a songwriter to release and capture their stream of consciousness. This in turn allows one to start brainstorming and identifying any new ideas lying within one’s inner thoughts. Creative songwriting is dependent on a songwriter’s ability to either tell a specific story or make up one through imagination. However, when either creating or telling a story becomes difficult, songwriter’s block sets in. Overcoming this challenge by tapping into one’s own emotions and feelings. Feelings and emotions tend to change from one moment to the next. As such, employing emotions and feelings as a source of inspiration can open up a myriad of options for the songwriter. “Tapping into emotions and feelings has the capacity of evoking past experiences that one can use as a springboard to develop and create new content,” – Monica Sanders, Content Writing Manager at Paper-Research. In conclusion, writer’s block in songwriting is a common phenomenon that can have debilitating effects on a writer’s ability to create new content. Writer’s block hampers one’s creativity. These three strategies increase success in unlocking creativity. A songwriter can find inspiration in new unexplored places by either changing their environment or location. But doing this you can gain a new perspective on things. 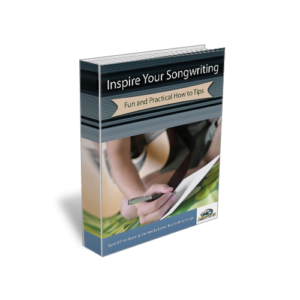 Free form writing helps a songwriter brainstorm and identify viable ideas in their blend of thoughts. Tapping into one’s emotions and feelings provides numerous alternatives from which ideas can be developed. Paul Bates is a musical entrepreneur and a professional educator at the same time. He currently contributes to EssayTask and SwiftPapers blogs. Gold, P. (2015). Break Through Writer’s Block. Cheyenne, WY: Queen Bee Publisher, Inc.
Another type of hook is the instrumental hook. Some phrases that are played by a lead instrument may ingrain themselves into our memory and indeed be considered a melodic hook. Some of these hooks are so memorable and so integral to the song that they are copyrighted.